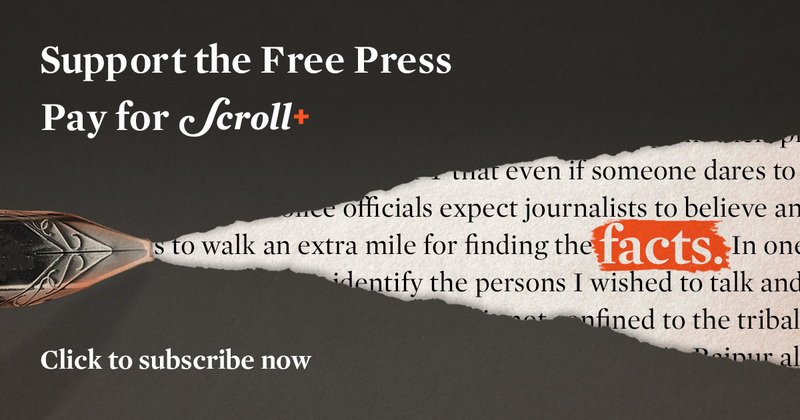 By continuing to defame Rakbar Khan – and Pehlu Khan before him – as cow smugglers, the police and ministers justify their murders. I held Rakbar Khan’s father Suleiman’s hand in mine for a long time. His face was creased with grief, his eyes often welled up. Khan’s widow lay close by, stretched out on a string cot, her face fully covered with her red dupatta, unmindful of the claustrophobic heat, surrounded by women of her village who whispered around her in solicitous tones. “She has become crazed with her agony,” one of them said. “She just gets up and laughs.” Earlier, when she spoke publicly, she had lamented that she was left alone to raise her seven children, the smallest a boy who had only just spoken his first words. The children, most of them with light hazel eyes, gazed at us and the large crowd of village men who had gathered outside their home with puzzlement and nervous unease, unable to comprehend why their father had been killed, and why so many of us had collected there. 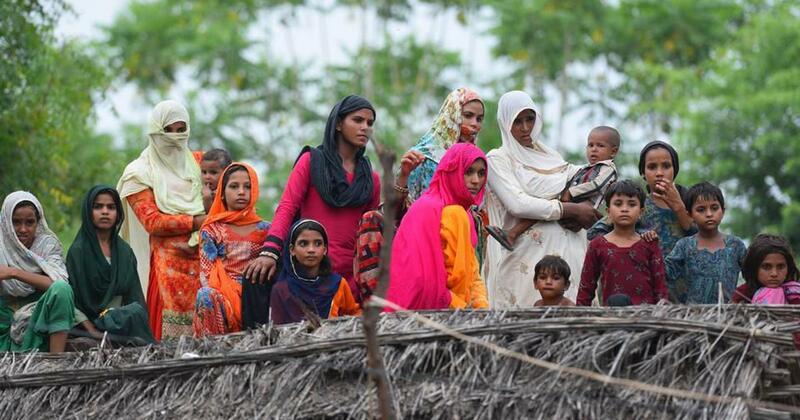 Some things are by now clear about the circumstances in which 28-year-old Rakbar Khan, an impoverished, nearly unlettered dairy farmer, was lynched in Rajasthan’s Alwar district on the night of July 21, a few kilometres from his village Kolgaon in Haryana’s Nuh district. Other facts are still disputed or deliberately obscured. The facts beyond dispute are that as Rakbar Khan was returning home on foot under cover of darkness with his friend Aslam Khan and two dairy cows he had bought from Rajasthan, he was attacked by a group of men claiming to be gau rakshaks or cow protectors. Aslam Khan managed to escape but Rakbar Khan was not so fortunate. As a teenager, Rakbar Khan had laboured on sand and stone-mining sites in the surrounding Aravali Hills. After the mining was shut down a decade ago, he fell back on the only other vocation his family knew, dairy farming, supplemented with intermittent farm labour. Two milch cows were tethered outside the family’s small home. His father had aged, and Rakbar Khan alone could barely bring in Rs 5,000 a month for his parents and children. 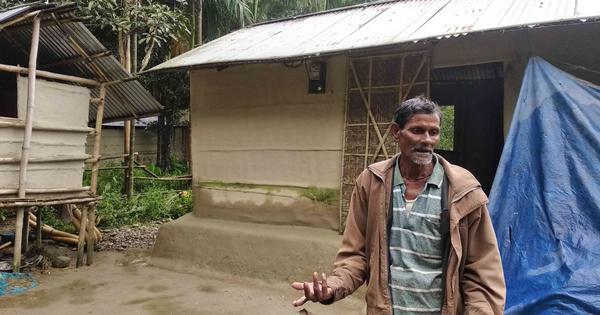 He decided that his only chance to improve his family’s lot was to buy a couple more milk-yielding dairy cows – the local metaphor is biyahi or married cows, impregnated cows fecund with milk. His father-in-law had loaned him Rs 50,000 to buy two cows. These, Rakbar Khan had hoped, would change their lives. They did, but not in ways he had hoped. What transpired instead was the worst nightmare of every Muslim dairy farmer in Nuh today. Each of them knows that buying cows and transporting them have become ultra-high-risk enterprises on the watch of the current political regimes in the country and in Haryana and Rajasthan. Since Pehlu Khan was lynched last summer for buying and ferrying biyahi cows and their calves in a pick-up truck, farmers are terrified of the risk of being spotted anywhere with cows, and now even buffaloes. The law bans the slaughter of cows, not their transport for dairying. But who will explain this to a lynch mob? Or for that matter to a state home minister, and even police officials, who continue to defame both Pehlu Khan and Rakbar Khan as cow smugglers, thereby directly rationalising their mob killings? Cow vigilante groups, openly supported by the political establishment and the police, rule the streets. It has become routine for those who transport dairy animals to face violence and extortion at their hands. Aggravating matters, the Haryana Police have established an official Cow Protection Force of men and women in uniform, with the official mandate of saving cows. There are now special cow protection police chowkis that are dreaded by farmers for their coercion and extortion. Rakbar Khan weighed all of these risks before opting to embrace the hazards of buying a cow. The two cows would have doubled his monthly income from Rs 5,000 and allowed his children to drink more milk and to go to school, his parents to eat better. Too poor to hire a vehicle, he decided to walk the dairy cows home. And he decided to avoid the highways and walk instead through fields in the dark. 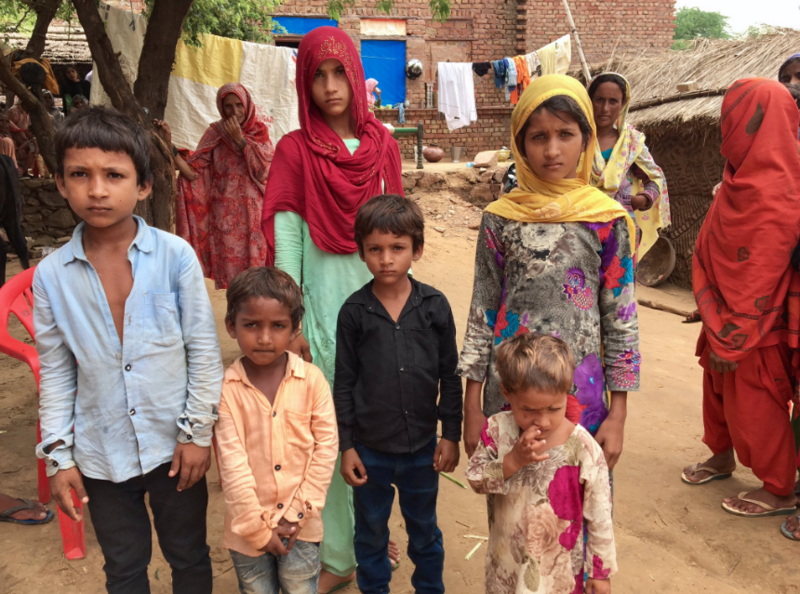 Nuh is a Muslim-majority district, and we find that most incidents of lynching of Muslim farmers from here occur not within Nuh but in districts like Alwar in neighbouring Rajasthan, where Muslims are in a minority. Rakbar Khan and Aslam Khan were just a few kilometres from the borders of their district when some farmers alerted cow vigilante groups, who chased down the two men. A terrified Rakbar Khan left his two cows and endeavoured desperately to escape, but the men caught up with him. Aslam Khan barely managed to escape. He reached his home at dawn, his clothes smudged with wet mud. He had crawled face down through the fields, petrified through his nightmarish journey that the vigilantes would spot him. 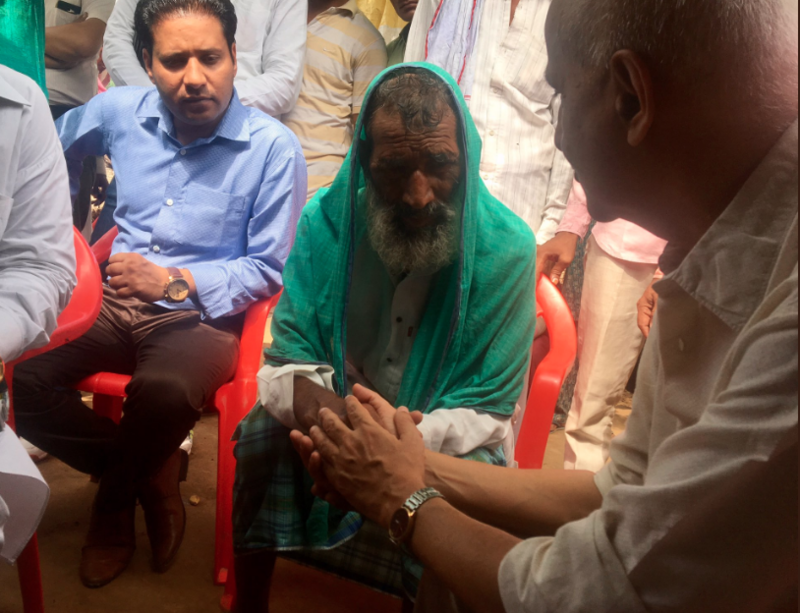 We could not meet Aslam Khan in Kolgaon when our Karwan e Mohabbat team visited Rakbar Khan’s family. We were told that since his escape, he felt dragged down with the shame of abandoning his friend and had left the village for a while. What remains bitterly contested about the events of that night is how severely the attackers, who reportedly bragged that they were backed by Rajasthan Bharatiya Janata Party MLA Gyan Dev Ahuja, beat up Rakbar Khan. The men claimed they only slapped Rakbar Khan and beat him “a little” to “show off” to the crowd and teach him a lesson. They produced a number of witnesses who told television reporters that Rakbar Khan was able to sit up after the beating. It was at the police station, where he was taken before he was brought to a hospital, that they claim he was beaten to death. Rajasthan Home Minister Gulab Singh Kataria too said that this seemed to him to be a case not of cow lynching but of custodial killing. He seemed more willing to sacrifice the uniformed men under his charge than his party supporters who were given to lynching Muslim men. However, during the Karwan team’s visit to Rakbar Khan’s village, the residents insisted it was the mob that had thrashed him nearly to death, not the police. It was only to save themselves that they had shifted the blame to the police, the villagers said. They hoped that with this, they would be spared the charge of murder, and even in the unlikely chance that they were convicted, they would spend just a few years in jail and emerge heroes. The policemen would, again at worst, face administrative action, and ultimately be acquitted when public memory faded. It was the post-mortem report that confirmed the villagers’ version, that the mob attack had left Rakbar Khan critically injured. It stated that he had suffered 13 injuries – including a fractured wrist, another fracture in the left femur, bruises, abrasions and a laceration – in the attack, and concluded that he had died of “shock as a result of ante-mortem [before death] injuries sustained over body”. It also said the injuries on his body were 12 hours old, calculated from the time of autopsy. Since the post-mortem was conducted at 12.44 pm on July 22, the time of the assault that killed Rakbar Khan was around midnight the night before, when he was still at the mercy of the mob. Even though Rakbar Khan probably died mainly because of the mob assault, the police were far from blameless. If there was any life left in him when they got to him, he could possibly have been saved had they immediately taken him to hospital, which was just 4 km away. Instead, as is now well-known, they took nearly four hours during which they (or members of the mob) washed him and changed his clothes (a wanton and criminal act of destruction of evidence), delivered his cows to a cow sanctuary, stopped by for cups of tea and only then delivered him to the hospital, where he was declared dead on arrival. Senior Rajasthan Police officials described the actions of their men in Alwar as only an “error in judgement”. What they failed to acknowledge was that this failure may have cost an innocent man his life, and therefore was criminal. They also did not admit that the policemen felt emboldened to act in this way because of the unambiguous messages they receive from their seniors, both in uniform and the political establishment. A minister in the Rajasthan government, Jaswant Yadav, rationalised the lynching as he alleged that Muslims smuggle cows. And Union minister Arjun Ram Meghwal said the rising graph of lynchings reflected the growing popularity of Prime Minister Narendra Modi. In the Pehlu Khan lynching incident too, the Rajasthan home minister and senior police officials had described the victims as cow smugglers, and the police had registered criminal cases against his son and nephew, even as the men named by Pehlu Khan in his dying declaration were either deemed by the police to be innocent or are out on bail. In this way, the messages junior rungs of the police receive from their superiors, in uniform or from the elected executive, in Rajasthan as in most parts of the country today, are clear – that attacks on Muslims by mobs or men in uniform in the name of protecting the cow (or the “honour” of Hindu women) are understandable acts by provoked Hindus who love their religion, the cow and their country (in deplorable contrast to Indian Muslims). These police personnel anyway belong to the same society that is today widely surcharged with communal hatred against Muslims and caste hatred against Dalits. There is little in their training and leadership to encourage them to interrogate and, even less, abandon their communal and casteist instincts. If they are then extensively fuelled by open hate speech and encouragement of hate violence by those who control their careers, how can we blame just junior policepersons for the casual disregard they display for the law and for protecting the lives of Muslim and Dalit victims of targeted hate violence? I end by examining the frank rationalisation of lynching by representatives of the Rashtriya Swayamsevak Sangh and the BJP that I have encountered in every television debate I have participated in (and watched) in recent weeks. This is that lynching is the outcome of understandable and righteous Hindu anger because Muslims refuse to respect Hindu sentiments and continue to illegally slaughter cows. To take just one recent public articulation of justification for lynching, let us listen more carefully to the words of Rajasthan minister Jayant Yadav. He appealed to Muslims to stop the business of cow smuggling and to understand and respect the sentiments of Hindus. “Smugglers stuff 50-50 cows into a truck to smuggle them and sprinkle acid on them,” he told Aaj Tak. “I request Muslims to not take to cow smuggling as this hurts the sentiments of the Hindus.” Lynching occurs, he added, because this “boils the blood of Hindus”. There are, of course, innumerable problems with this kind of reasoning that is widely peddled to validate mob violence. Even if it were true that Muslims generally smuggle cows and Hindus as a whole object to cow slaughter, it does not justify in any way the raising of a single hand against a Muslim (or any other person) who is transporting cows. His guilt or lack of it must be resolved only by the process established by law. But even apart from this, the alleged Hindu-Muslim divide on the question of cow slaughter is a disingenuous, false and communally mischievous construction. 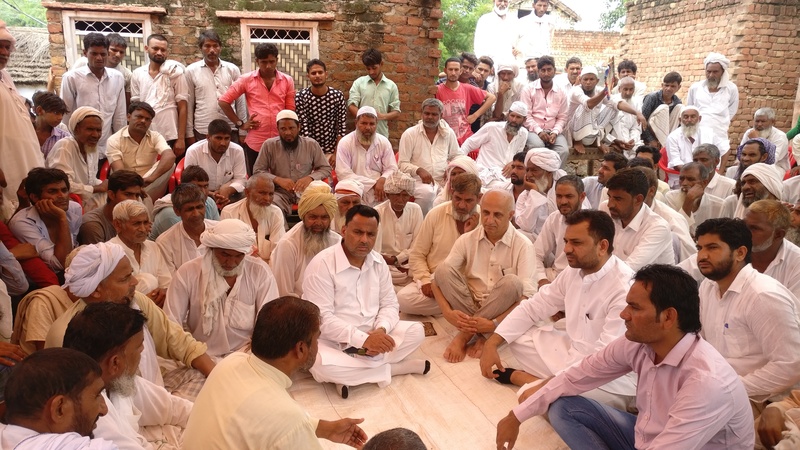 Since incidents of lynching of dairy farmers in Nuh have grown in recent years, I have come to know closely the communities to which Pehlu Khan and Rakbar Khan belong. They love cows no less than any Hindu farmer. Both Pehlu Khan and Rakbar Khan were lynched when they were transporting dairy cows that they had bought for milk, not slaughter. Both had borrowed and spent Rs 25,000 to Rs 30,000 on each cow. The maximum a person can earn from selling a cow for slaughter is Rs 5,000 to Rs 8,000. It is, therefore, indisputable that they were legitimate and lawful dairy farmers, not illicit smugglers of cows for slaughter. Despite this, senior ministers, elected representatives of the BJP and the police persist in slandering them as cow smugglers. On the other hand, many Hindus also eat cow meat. The BJP needs to clarify if they regard Dalits to be Hindus, and if they do, how can they generalise that all Hindus oppose cow slaughter? What about Hindus who live in Assam and Kerala? And then, of course, the ordinary farmer, both Hindu and Muslim, who may deeply love the cow, but who does not have the wherewithal to feed and rear the cow when her milk dries and she ages? Adityanath, the saffron-clad chief minister of India’s most populous state, Uttar Pradesh, declared that human beings must be protected, but so also must cows. “It is the responsibility of every individual, every community, every religion to respect each other’s sentiments,” he said, days after Rakbar Khan’s lynching. What he implied but did not say explicitly was that Muslims must respect the alleged sentiments of Hindus, but Hindus owe Muslims no such obligation. In other words, the BJP unambiguously places the burden of ending lynching violence on the principal victims of this violence, the country’s Muslims. Muslims in India, after all, are themselves responsible for their own lynching.